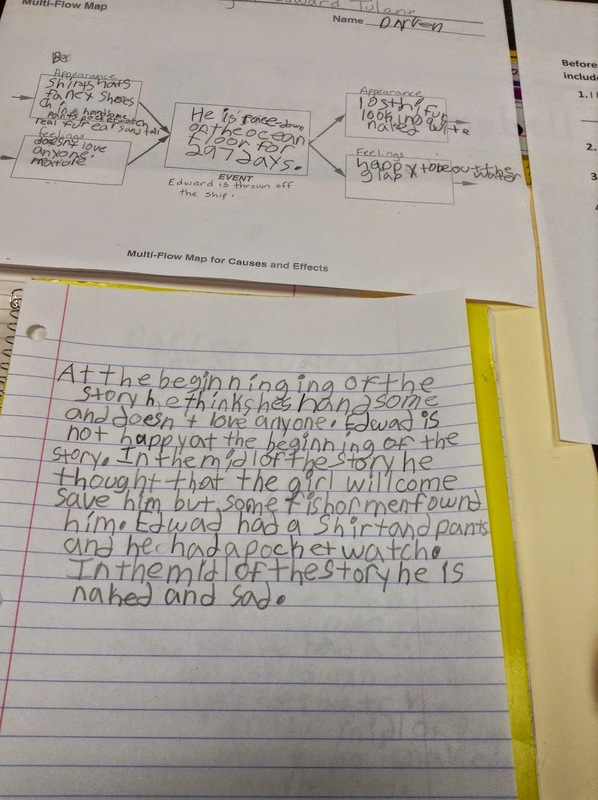 For several years, my teaching partner Ginny Limer has encouraged me to use Thinking Maps. She uses them daily in all subjects. I have used the circle map, but haven't ventured much farther until this past week. 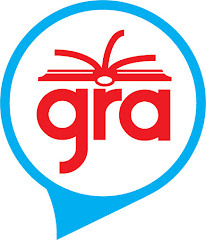 We are participating in The Global Read Aloud - a world-wide event where classes read the same book and then share via social media, blogging, skype, etc. We are in the second week of our reading of The Miraculous Journey of Edward Tulane and so far we have made predictions and asked questions with other classrooms via skype and blogging. 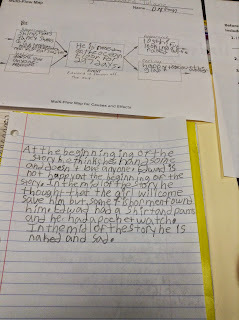 Yesterday, I wanted my students to write about how Edward looked and felt before and after being thrown off the ship. Ginny has shared examples of the thinking maps with me, so I looked through to see which one would work best for this assignment. I chose the cause and effect map because the boxes were set up just the way I wanted. 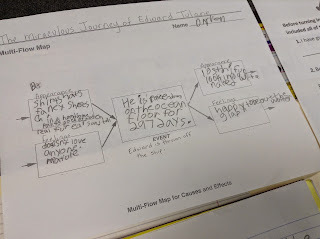 During a class discussion about our reading, each student completed their own thinking map. Using the map, they were able to easily organize their thoughts. This example is from a student who tends to get hung up and frustrated. 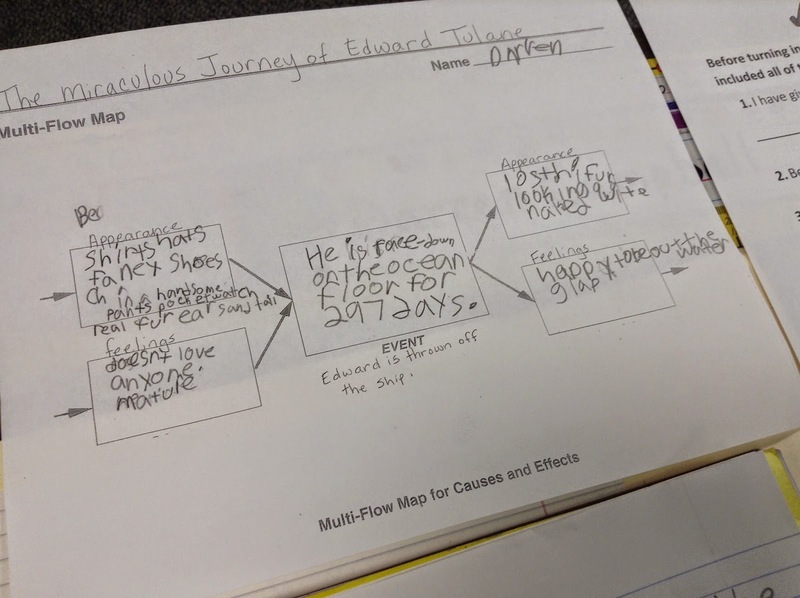 The thinking map allowed him to be articulate and confident in his writing. 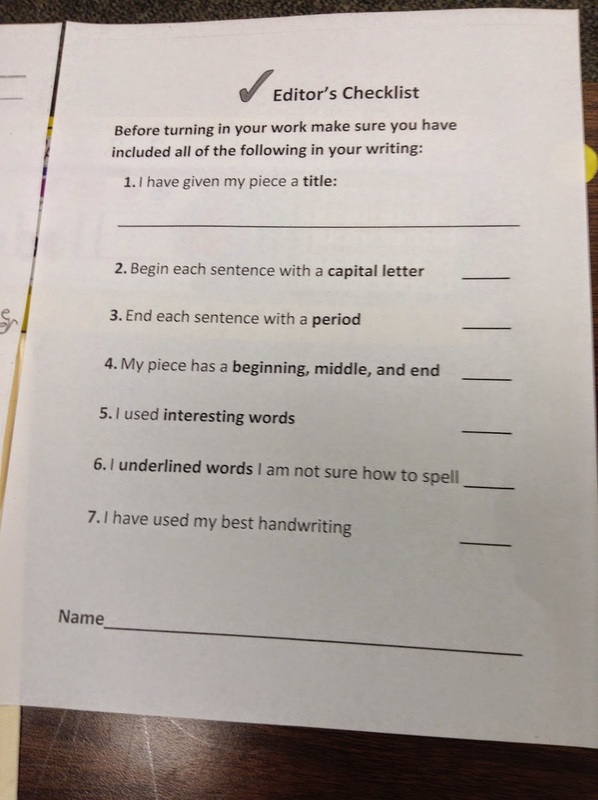 After writing, my students use an Editor's Checklist to assess their own work before turning in. I have found that this pushes them to scrutinize their own work more thoroughly.